Rob and I could both eat bruschetta every day for the rest of our lives. It's an addiction. 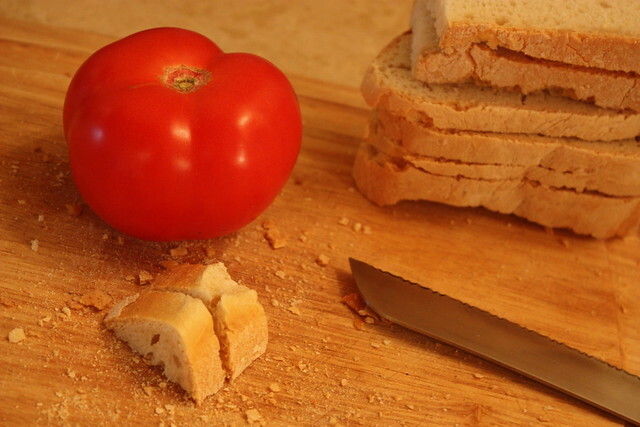 In the U.S., when we hear the word "bruschetta" we tend to think strictly about bruschetta al pomodoro -- with tomatoes. 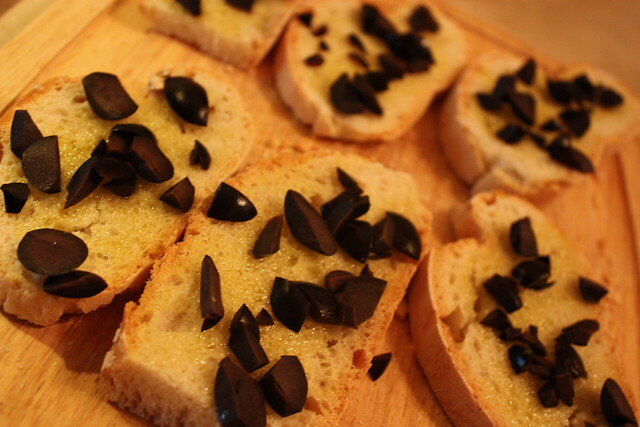 Here in Italy, bruschetta typically just refers to the fact that the toppings come on toasted/grilled bread. You see all kinds of toppings on menus -- veggies, meats, different cheeses. 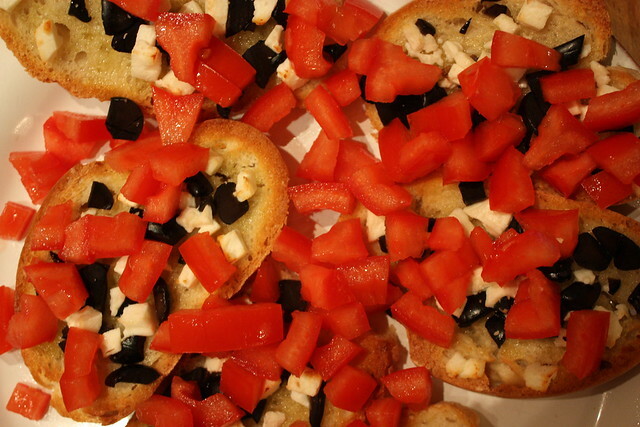 When Rob and I get sick of our regular pomodoro and mozzarella/speck varieties, we make what we call greek salad bruschetta. 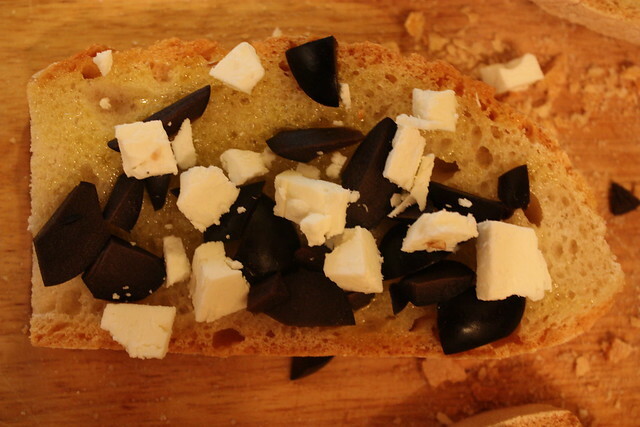 Chopped olives and feta on top of bread slices brushed with olive oil. We stick it in the oven and broil it for a few minutes. Then, when the cheese shows the slightest hint of browning, we take it out and top with tomatoes.